If you need to replace your home’s current roof, then it might be worth to consider a different type of material. 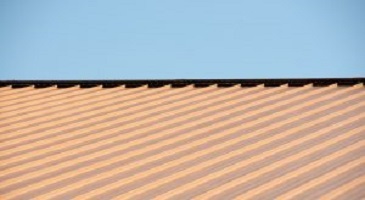 One such material is metal roofing. But why should you choose metal roofing? Join us as we find out together. Why should you choose metal roofing? Join us as we find out together. What damaged your roof? The next time you climb up on a ladder to inspect it, you should determine what caused your roof to lose its shingles or begin to warp. As the seasons change, you’ll need to keep in mind how the roof will behave differently depending on the weather you can expect on a daily basis. Metal roofing withstands wild weather. 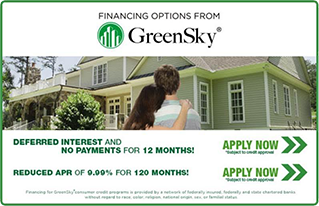 Whether you want your roof to survive the rest of the winter, or you want to prepare for spring and summer, this is a worthwhile investment. After all, you won’t have to worry about your roof cracking or getting too dry. You might also be concerned about high, gusty winds knocking shingles off of your roof. When you choose metal roofing, this won’t be a problem. That’s because the roof won’t move. It also won’t be affected as much by damp weather such as rain or snow causing water damage, although you need to be vigilant against the possibility of rust. Despite what you may think, metal roofing is surprisingly lightweight. This helps make installation much easier. You can also choose from various colors to boost your home’s curb appeal. If you are worried about the colors fading, that won’t be able either. Despite constant exposure to the ultraviolet rays of the sun, the colors will last. Plus, by taking care of them at the right times and in the right ways, metal roofs can outlast all other types of roofing materials, given you, even more, return on your investment. You might also believe that a metal roof will only draw more heat into your home. While this sounds pleasant during the tail end of winter and the beginning of spring, by the time summer comes back, you don’t want to feel like you are roasting. Fortunately, metal roofing will reflect sunlight, helping you save money on cooling your home when it is hot out. You’ve still got some time to decide whether or not metal roofing is the right fit for you, but the sooner you get started, the sooner you can enjoy your new roof! This entry was posted on Friday, February 8th, 2019	at 1:10 pm	and is filed under Roofing . You can follow any responses to this entry through the RSS 2.0 feed. Both comments and pings are currently closed.